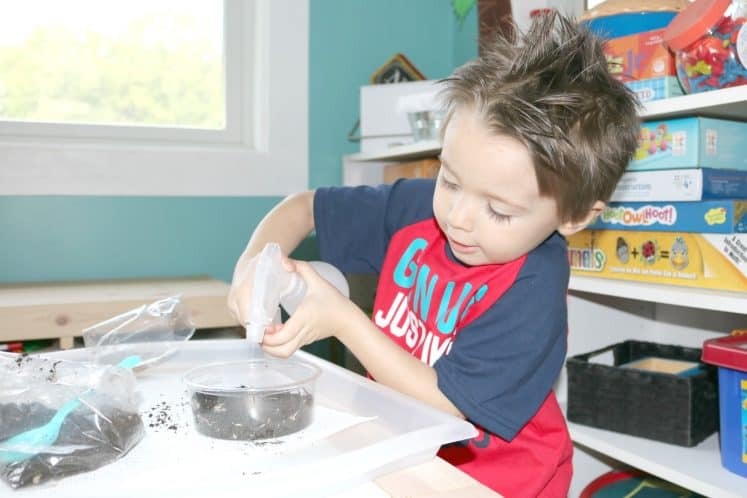 If you’re looking for a quick & easy science experiment for preschoolers, then you’re definitely going to want to check out this Growing Grass Make & Play Gardening Activity for Preschoolers. 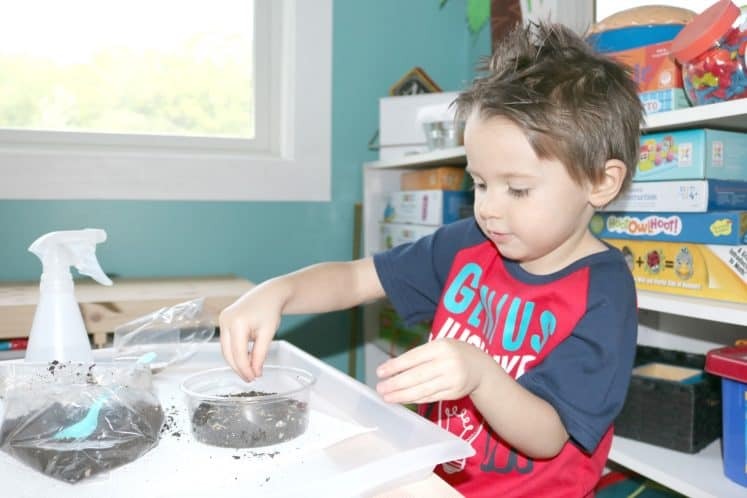 It’s a fun activity that’s perfect for teaching little kids about growing gardens and plant life cycles. 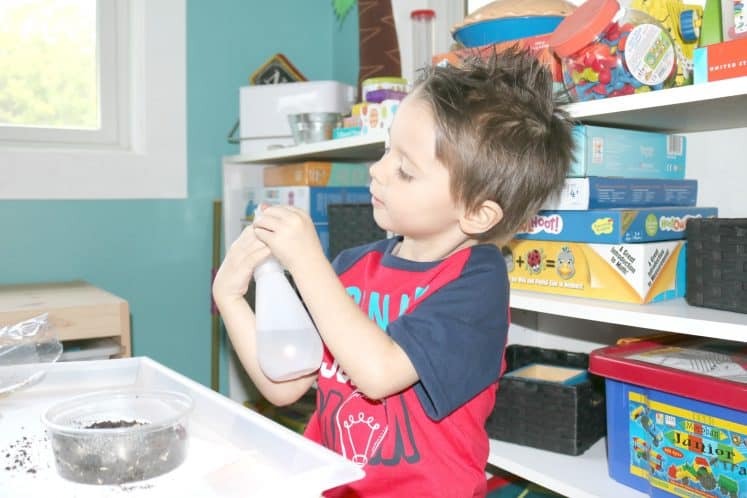 The little guy and I were both so excited to start our Growing Gardens preschool homeschool theme. 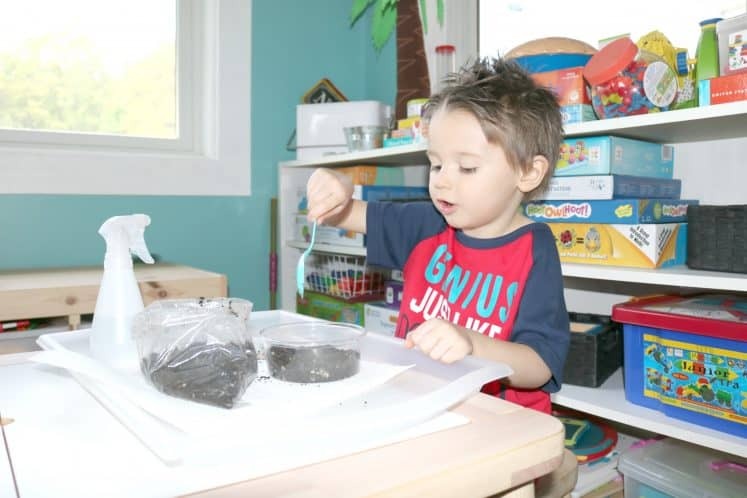 We learned about soil and seeds earlier in the week and today we learned about two things that plants need to grow. Sun & Water. 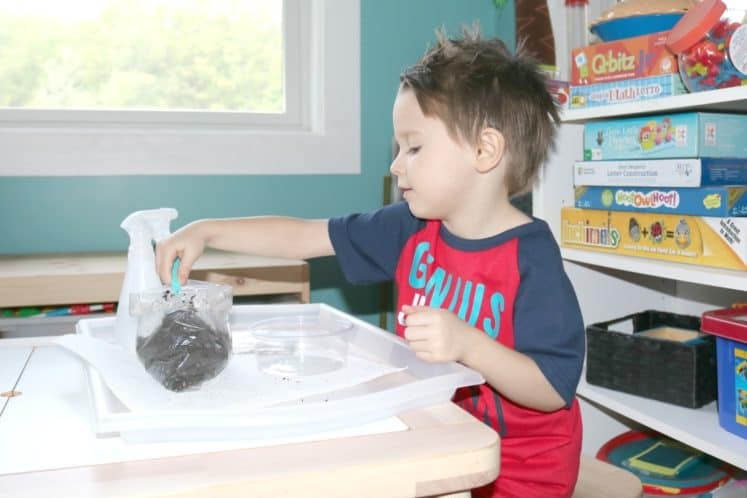 All plants need water and sunlight. Water and sunlight provide energy for plants, but too much of either one can harm a plant. I can’t even begin to describe how excited a certain little someone was when I told him that we were going to be growing grass. He was literally jumping up and down. I’m totally not exaggerating. Ironically, daddy and the little guy planted pansies in the planter box over Mother’s Day weekend. You know, to make the deck all kinds of pretty for summer. And a few days later we did some more gardening, but this time as part of our preschool homeschool. What do you think we need to grow grass? Write each child’s name on a cup. 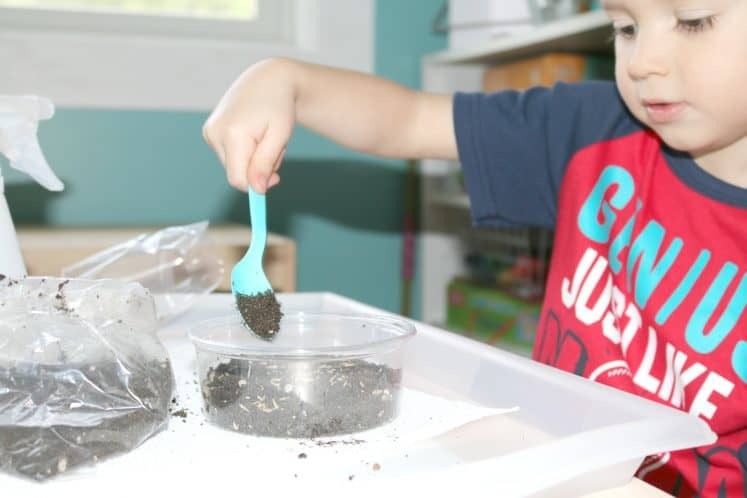 Encourage him to scoop soil into his cup. 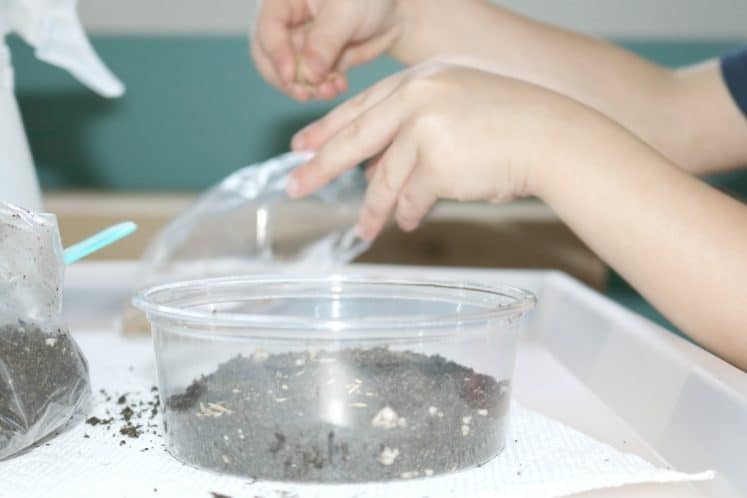 Sprinkle some grass seed, then bury it in the soil. Draw a picture of the cup and soil in the first square on the observation sheet. Keep the cups near sunlight. Water regularly and watch grass grow. 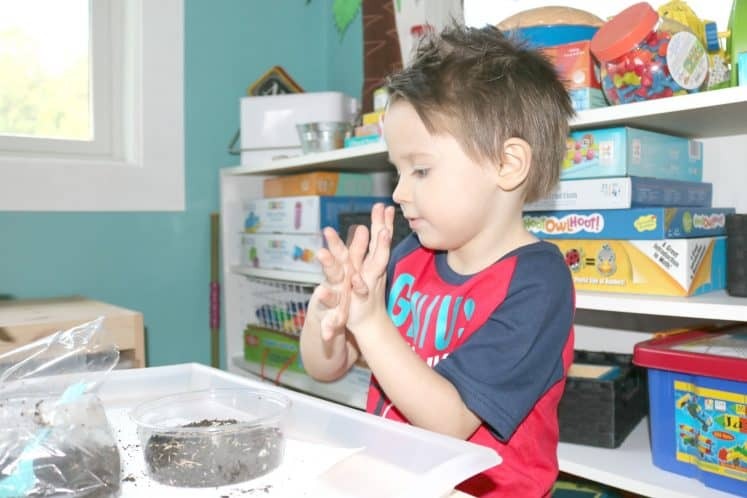 When grass sprouts, invite children to draw more pictures on the observation sheet. 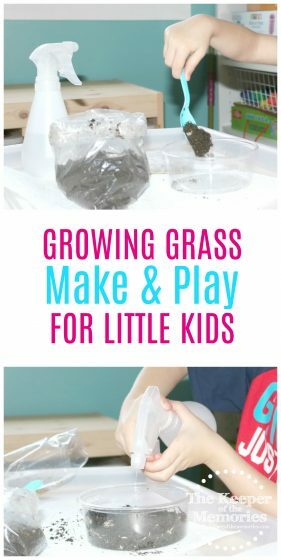 Did the child describe the materials needed to grow the grass? 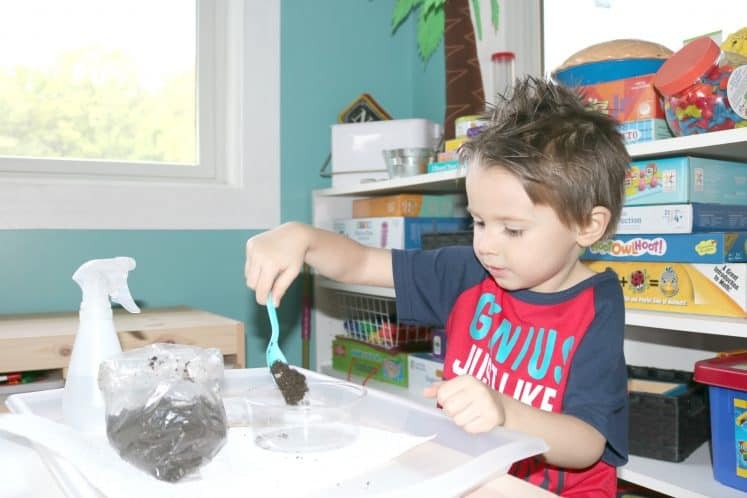 Did he easily scoop the soil into the cup? Did the child observe the grass as it grew in the cup? 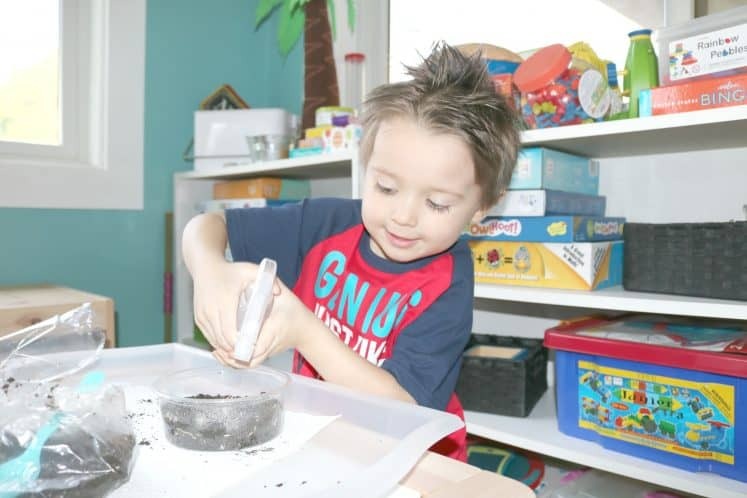 The little guy definitely had a blast scooping the soil and burying the seeds and of course we talked about what a plant needs to grow. Hopefully sometime in the next few weeks, we’ll have some grass to observe. And if you didn’t get this month’s curriculum kit, you could totally make your own.